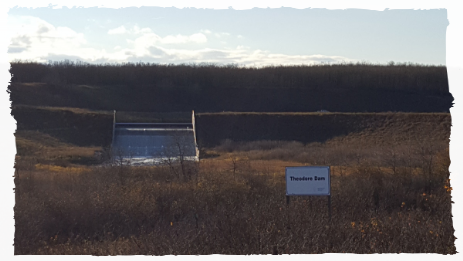 The Theodore Dam on the Whitesand river - Where many a fish story has been told! Anglers can fish either below the dam or behind, either way you've got a pretty good chance of catching a pike, maybe a walleye or some perch! Located approx. 10 minutes away, East down grid road 726 from Theodore. There is a place to launch your boat from behind the dam if you wish to take your boat out for a cruise. 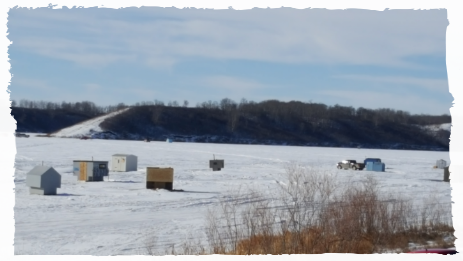 In the winter ice fishing is popular and you'll find another 'town' out on the ice with all the fishing shacks set up for the season!